Applications for Ubuntu/Linux are not at all in short supply. But picking the best from the rest is not an easy thing to do. There are a number of really good bit torrent clients for Ubuntu out there. Here we intend feature a collection of 5 really good bit torrent clients for Ubuntu which we think are among the best. Deluge is among my favorite bit torrent clients for Ubuntu. It is fast, slick and packed with all sorts of functionalities. Deluge is not available in Ubuntu by default, but its in the repositories. Click Here to Install Deluge in Ubuntu from official repositories. Now, if you want to install the latest bleeding edge version of Deluge instead, you need to do the following in Terminal. Done. Now goto Applications - Internet - Deluge BitTorrent Client. As you all should know already, Transmission is the default bit torrent client in Ubuntu for a long time now. Transmission is a nice mix of simplicity and functionality. And it is my second favorite bit torrent client(after Deluge). 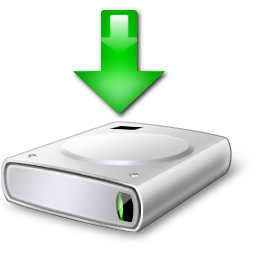 It incorporates all the basic features you would expect from a torrent client. Transmission is available by default in Ubuntu. But if you want to install the latest bleeding edge version of browser in Ubuntu, you need to do the following in Terminal. Done. Now goto Applications - Internet - Transmission BitTorrent Client. The qBittorrent project aims to provide a Free Software alternative to µtorrent. Additionally, qBittorrent runs and provides the same features on all major platforms including Linux, Mac OS X and Windows. Like the ones we featured before, qBittorrent is also available in Ubuntu repositories by default. Click Here to Install qBittorrent in Ubuntu from official repositories. Now, if you want to install the latest bleeding edge(and unstable) version of qBittorrent instead, you need to do the following in Terminal. Done. Now goto Applications - Internet - qBittorrent. This is not really a tailor made bit torrent client for Ubuntu GNOME. KTorrent is a KDE application and it looks complete out of place in a GNOME desktop. But apart from that, from a functionality point of view, KTorrent is a more than adequate torrent client of Ubuntu. Click Here to Install KTorrent in Ubuntu from official repositories. You can install latest version under development version of KTorrent instead via Kubuntu backports PPA(though I haven't tried it myself). Done. Now goto Applications - Internet - KTorrent. 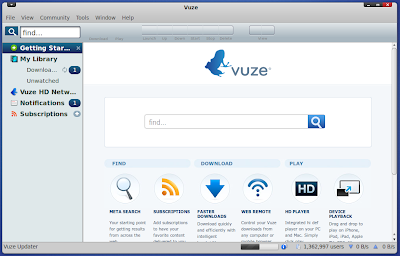 Vuze bit torrent client is also a widely used alternative among Ubuntu users. Though I have never really preferred it over the likes of Deluge or Transmission, I have noticed elsewhere that a lot of Linux users actually prefer Vuze(previously called Azureus). 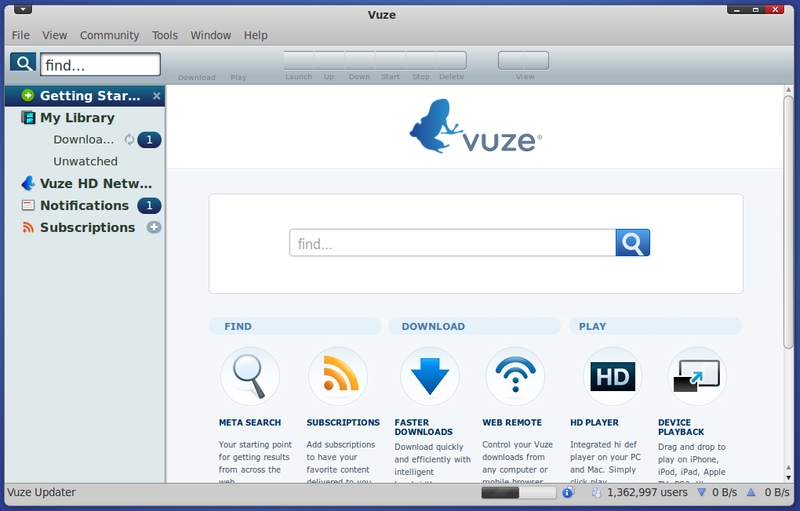 Click Here to Install Vuze in Ubuntu from official Ubuntu repositories. Hope this list proves to be of real help for newbie Ubuntu users. For those you have just started using Ubuntu, you might want to check out this collection of applications of all kinds you might want to install after installing Ubuntu.